The Rwandan State has boycotted the African Court on Human and Peoples’ Rights in Case No. 003/2014, which opposes it to Ms. Victoire Ingabire Umuhoza, President of the FDU-Inkingi. According to reliable sources, the Rwandan Government and the National Commission for the Fight against Genocide (CNLG) have decided unexpectedly to withdraw from the case No. 003/2014 which opposes the Rwandan State to Victoire Ingabire Umuhoza and whose hearing is scheduled on March 22, 2017 before the African Court on Human and Peoples’ Rights (ACHPR) in Arusha, Tanzania. According to our sources, the RPF regime in Rwanda alleges lack of impartiality on the part of the Court even before the beginning of the substantive debate has started. It has therefore decided to withdraw from the hearing before the Court in a desperate attempt to kill in the bud the request of Victoire Ingabire Umuhoza, a political prisoner, currently incarcerated in Rwanda. The Rwandan State, fearing its imminent condemnation, has decided to bring out its heaviest weapon of giving such an excuse for not appearing before the court. Such a last-ditch manoeuvre to derail the trial comes after intense and fruitless pressure from all sides, for the trial to be abandoned. The FDU-Inkingi denounces this hypocrisy of the RPF regime, which in July 2016, pushed for the election of a Rwandan judge, Marie-Thérèse Mukamulisa, by the General Assembly of the African Union, to sit on the bench of the judges of the African Court. The Rwandan State which had then become judge and jury in the Court is now complaining about lack of impartiality of the Court! 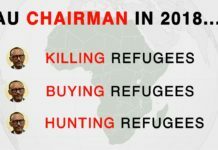 It is equally astonishing that the Rwandan State did not wait for the hearing to present its case instead of taking the cowardly path of boycott. 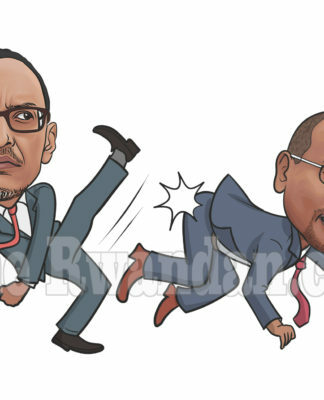 The FDU-Inkingi is also surprised that the CNLG, which was supposed to be neutral party as amicus curiae in this trial, is also withdrawing from the trial at the same time as the Rwandan State. Given this refusal by the Rwandan State to be a litigant like the others, the FDU-Inkingi is asking Rwanda’s donors to draw the necessary and courageous conclusions and freeze any budgetary aid to a judicial system controlled by a government which has no respect for justice. Done in Strasbourg, France, on March 19, 2017.